Improve the health of your gums with our periodontic services. When you’ve experienced damage to your gums or need a periodontic procedure, you know that effective treatment is necessary to deal with the problem and help you be more comfortable. Napa Valley Dental Centre - Kleinburg Dentistry offers several periodontic treatment for your gum health needs. Periodontics is the area of dentistry that deals with the supporting structures of the teeth, namely the gums and bones of the mouth and jaw, and the diseases that may affect them. Periodontic treatments can range from minor or cosmetic to major work. 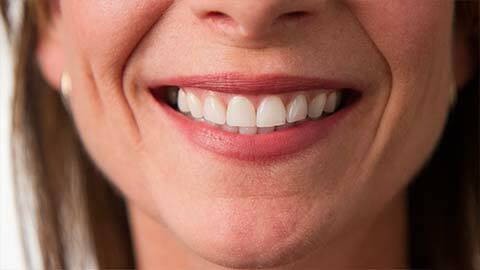 Gum disease is a common issue, but it can have a serious effect on your overall health. Gum disease is caused by infection in the gum tissue due to untreated tartar, and can range from minor (gingivitis) to serious tooth loss. The good news is that it can almost always be prevented by diligent oral care, most importantly regular dental cleanings and checkups. However, some people may not be able to stave off gum disease, either because of family history, a history of certain dental issues, or contributing diseases like diabetes. For those patients, Napa Valley Dental Centre - Kleinburg Dentistry can help to treat your gums with their signature skill and compassion. Scaling and root planing resembles regular tooth cleaning and scaling, but on a deeper and more involved level. The hygienist removes tartar, plaque, and diseased tissue both above and below the gumline, allowing your system its best fighting chance against the advancement of periodontal disease. Root planing treats the roots of the teeth, removing any bacteria and tartar that has reached down so far. Tooth extraction is performed when gum disease has severely damaged or loosened a tooth. Frenectomy is the removal of a thin strip of tissue (a frenum) in the mouth, which may be required if tissues in the mouth are pulling on the gum and causing them to gap or recede. The procedure is safe and straightforward, and recovery is usually quick. Crown lengthening is a procedure that removes excess gum tissue from around the teeth to allow more of the tooth to show. This may be done as a mainly cosmetic procedure for people who feel their teeth are too short, but can also serve an important purpose in allowing a restoration such as a crown or bridge possible. When you trust your periodontic health to Napa Valley Dental Centre - Kleinburg Dentistry, you can be confident you’re in good hands. If you need more information about Periodontics in Kleinburg, contact us today.